A DMK21 camera fitted with an IR/UV cut filter and the lens assembly from a x2 Barlow was fitted into a x2.5 Barlow and placed in a Solarmax II 60BF15 solar scope AR1327-AR 1324 regions were imaged in H-alpha light. 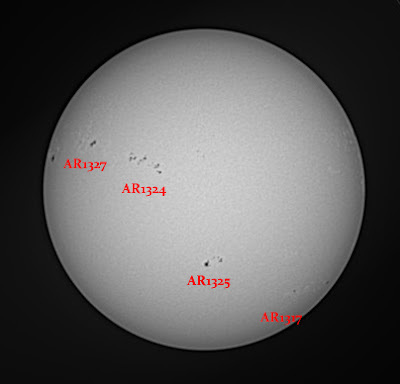 A total of 40,000 frames were captured in AVIs and then registered and stacked in Registax 6. Microsoft ICE was used to composite the final image. 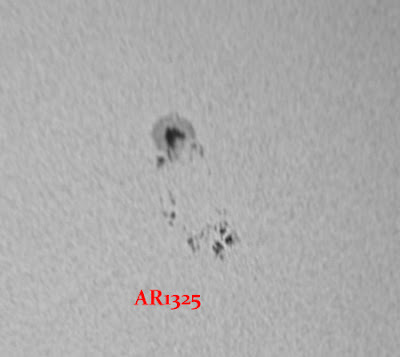 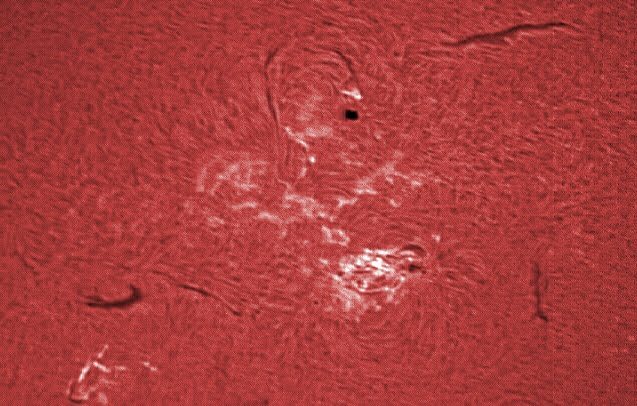 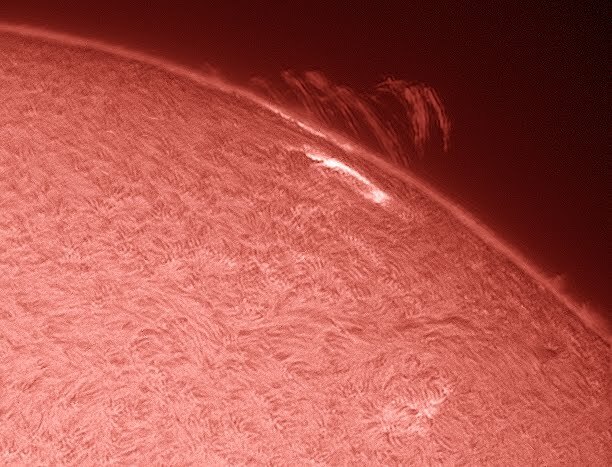 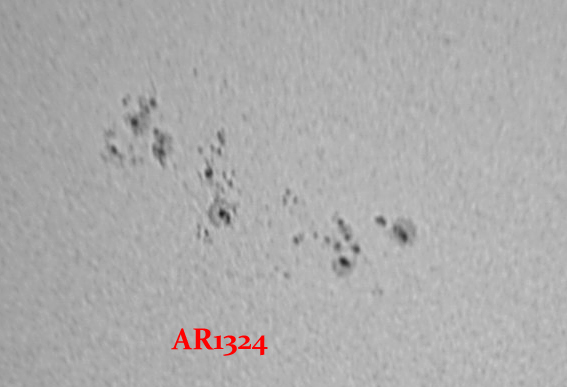 A DMK31 camera was placed at the prime focus of an 80mm refractor fitted with a Baader solar filter and imaged a string of active regions across the whole disk of the Sun. A DBK camera was used for both images. 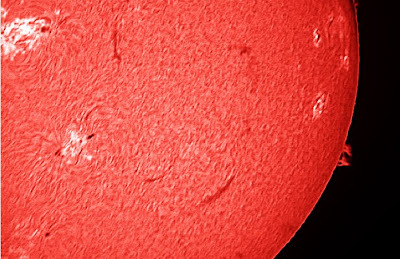 A Pentax K-x DSLR was placed at the prime focus of a Maksutov 127 telescope. 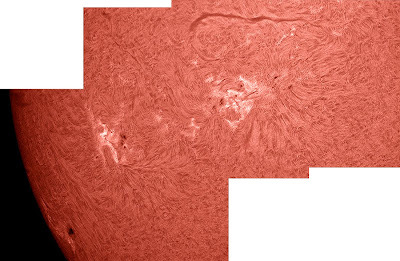 Two overlapping images were captured and stitched together using Microsoft ICE. 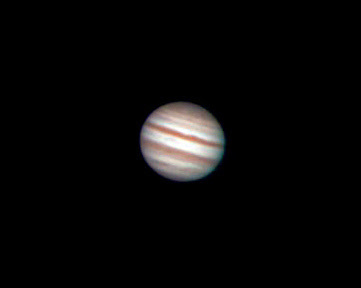 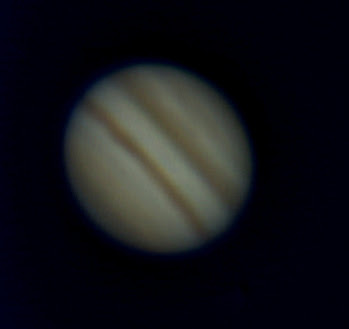 An afocal image was captured of Jupiter using a modified afocal adaptor. 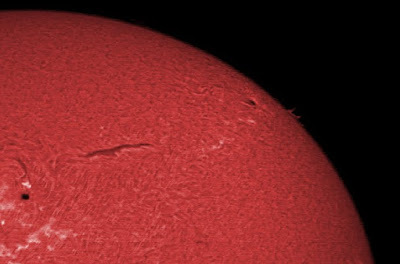 The north and south equatorial belts are clearly visible in this image. 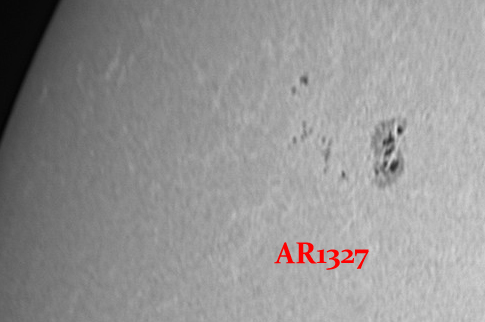 A DMK camera fitted with an IR/UV cut filter and the lens assembly from a x2 Barlow was used in conjunction with a H-alpha PST to capture 3 areas of the Sun in between the clouds. The images have been colourised to represent H-alpha light.